Hope you all are doing well! Hope the semester is going well for each of you. The time is winding down and the semester will be over with before you know it. Just wanted to share with you some tips in surviving the Thanksgiving and winter break when you return back home. 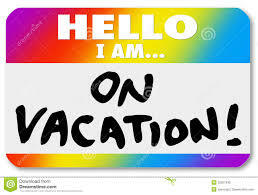 I am sure that many of you are excited to get back home, sleep in your own bed, have those home cooked meals, etc. But heading home for holiday break can present some unexpected challenges. Before you left home, there was some type of structure where you may or may not had a curfew, chores, etc and now since being away at school you’ve gained this new found freedom and blossoming independence. Going home can at times create this clash with parents and/or guardians. Returning home for winter break although promising weeks of rest and relaxation and time with friends and family can often be a difficult adjustment for college student especially freshman. You may be used to coming and going as you please, living on your own and making your own decisions, and the biggest challenge is being back under your parents’ roof with certain expectations. You may feel as though your family will be nagging you about little things that they didn’t get to do while you were away. Also, while being home you may feel as though you can’t do what you want to do when you want to do it. When dealing with being back home it is important to work out any issues or problems and learn how to compromise. Being able to talk things out with your family and coming to a common ground and understanding can make the winter break more pleasant. Even seeing old friends from school can present some challenges. Group dynamics may be greatly changed and can throw everyone into a bit of a funk. Fortunately, however, friendships grow and change, and seeing this “new” part of your old friends can be an exciting part of your friendship, even if it’s a little unnerving at first. It can be quite an experience when going back home for the first time since being away from home. Things and people may not be the same as before but that is all apart of life. Enjoy this first holiday return. Enjoying spending time with the ones you love most and cherish those memories.